Are you prepared to let wildlife education be banned from our schools? 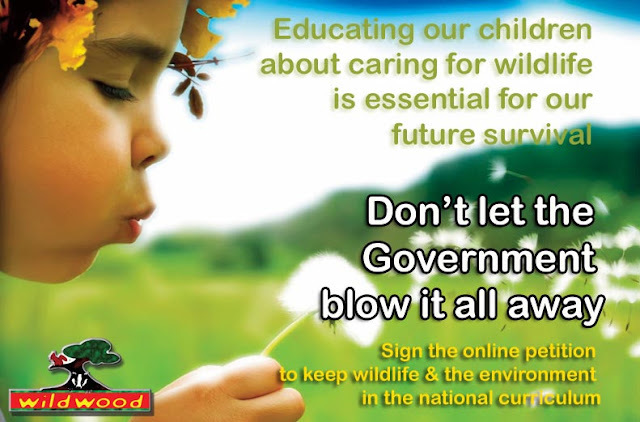 Wildwood Trust's Chief Executive, Peter Smith has joined other leading conservationists in making public statements condemning these short sighted proposals and we are asking all of our members to petition the Government to put wildlife back into the proposed National Curriculum. As the leading provider of Wildlife Education in the South East we are horrified that the proposed new National Curriculum dropped its previous commitment teach children 'to care for the environment' and discover 'ways in which living things and the environment need protection'. "The UK has spent the last 30 years robbing from the future, both in our economy and environment, This must stop, It is our job to give our children the knowledge to make this world a better place and protect it for future generations. " Wildwood is calling on our supporters to make a public demonstration of their concern by signing one of the following online petitions calling on Michael Gove to think again. Change.org - Hey Gove, why can't we talk about the environment? Please sign one, two or all of the above petitions to ensure our future generations can learn to care for our environment and wildlife.